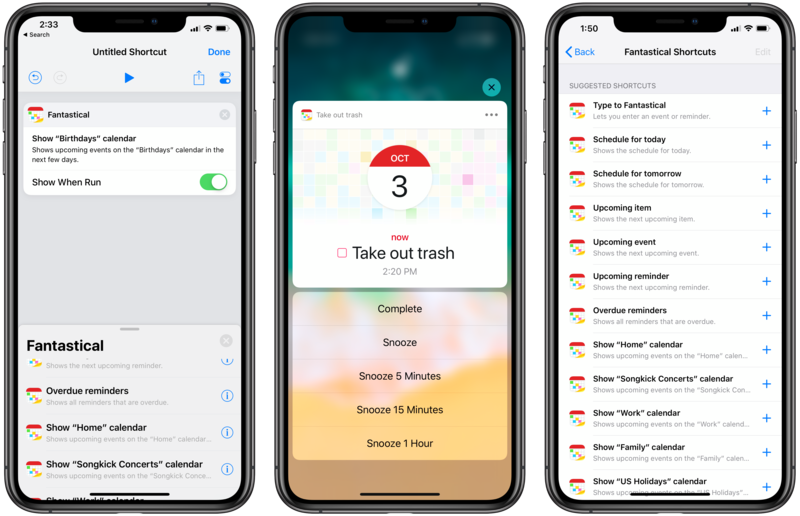 Fantastical is one of the best calendar apps on iPhone, iPad, and Apple Watch, and the latest version brings new features for iOS 12 and watchOS 5. Fantastical has also been optimized for the iPhone XS Max and iPhone XR, and the new update includes lots of customization options on the new Apple Watch Series 4. Have a new Apple Watch Series 4? 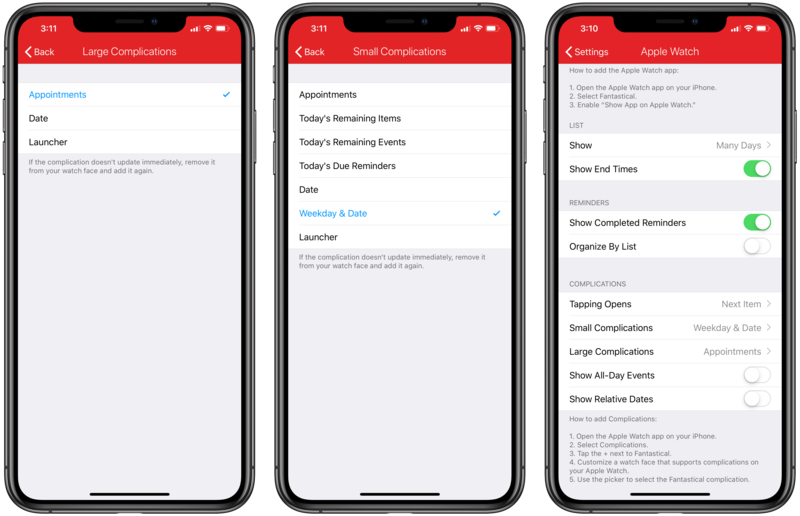 Fantastical is now optimized for the new 40mm and 44mm display sizes so you can see more appointments and reminders on-screen. Fantastical also now has complications for the new Infograph and Infograph Modular watch faces. Infograph Modular complications include both the new large center option and the new circle options. These can show data like the day and date, upcoming and current appointments, and progress through your day. Infograph complications include top center options that can show text around the dial, other circle complications within the dial, and new corner complications. Each of these can also show progress through your day with a clever indicator. Fantastical lets you customize how Apple Watch complications appear depending on what data is important to you. Adjust this in the Apple Watch category of the settings section on Fantastical for iPhone. Note that the corner complications around the analog Infograph clock are considered large complications. If you want to have a corner complication for the day and date on Infograph, adjust the large complication to date. Fantastical can also now appear on the Siri watch face as a data source. This works for calendar appointments as well as reminders based on when they’re relevant for which time of day. Fantastical has also been updated for the iPhone and iPad. The calendar app now shows more content on the iPhone XS Max which means it’s already updated for the upcoming iPhone XR. Siri Shortcuts is also now supported so you can create custom Siri voice commands for common tasks in Fantastical, or you can use the Shortcuts app to create more advanced actions that work with other apps. You can find these actions in the Siri section of the Settings app or the apps section of the Shortcuts app. Finally, the new version of Fantastical introduces support for interactive notifications. This lets you respond to alerts with actions without having to open the Fantastical app. Fantastical for iOS 12 and watchOS 5 is available on the App Store. Fantastical for iPhone and Apple Watch is $2.99. Fantastical for iPad costs $4.99. Both new versions are free updates for existing Fantastical 2 customers.